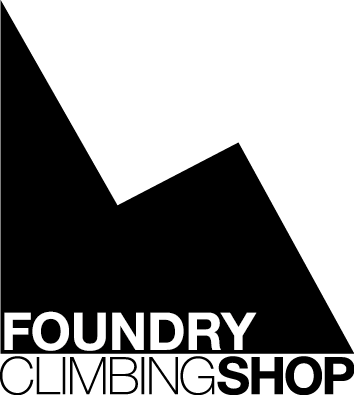 Below are links to the UK climbing performance coaches I am aware of, books that I recommend and articles on the web I found. The articles are listed and grouped by the authors I recognised followed by a Lucky Dip section. It is an updated version of something I did on UKC a few years ago. Let me know and I can add any other links to other useful articles/material/sites/coaches and we can post it up as an article on the front page for future reference and keep it up to date by linking new articles and taking out deadlinks. Lock-off Strength Training (I). Does Static (lock-offs) Training have any Effect over Dynamic (pull-ups) Performance? Lock-off training (II) Does our locking-off ability have any influence on our performance? Is it so important to train it? Lock-off training (III) Do you really lock-off? Call It What You Want, Periodized Training Works. How To Increase "Pull Strength" by 20 Percent! How much last a boulder session? From athletics methodology to climbing. Fartlek method. Training for climbing. Is really necessary? The 'Big Three Factors' of movement, finger strength and body mass. Preventing everyday life sapping your motivation to train whether your'e starting from scratch or have reached a plateau. Dave's advice on who to look to for the best advice - great coaches or great climbers? (De) Lizenz zum Bouldern by Udo Neumann - haven't read it yet. Udo Neumann's website: piles of worthwhile training articles in German, some interesting videos where one doesn't necessarily have to understand what's being said, e.g. this one. Australian coach and kneepad merchant Lee Cujes has a blog and some other articles. The 2nd of the rockclimbing.com links doesn't appear to work though.. This is Horst's commercial site. I think the links I have made above to his less commercial site more than fairly represents his output. If you aren't aware Horst has attracted a lot of criticism for proposing many things as fact that dont stand up to serious scrutiny. He is a good salesman but the jury is out on much of his SCIENCE. Thanks for the suggestions so far. Keep them coming. Some pieces from the public Gym Jones website that are appropriate. Yes, Gym Jones is a commercial venture and focused on strength and conditioning as opposed to climbing/sport specific training but there is a lot of very good material available. Some things worth pondering when it comes to training. does anyone have the OTE/climb ? Steve Mcclure training articles/series from a few years back. Remember a good one on 'recruitment'/warm up.... also would be interested in the power endurance article if anyone has it. This information sounds/reads like a prime candidate for UKB Wiki material. I started a template ages ago (see Training : The Science, but since I do very little structured training had very little to include at the time. Most of this would likely fit under "Links" section, but where a break-down of each site has been given it might be appropriate to have the summary included. Either way its there for people to use. The Tabata Protocol--named after Izumi Tabata, Ph.D., a former researcher at Japan's National Institute of Fitness and Sports in Kanoya--is an interval routine developed by the head coach of the Japanese speed-skating team. (It's called a protocol because Tabata and his team took the speed-skating coach's workout and studied it to quantify just how effective it really was.) The workout consists of six to seven 20-second full-speed sprints interspersed with rest periods of 10 seconds. In Tabata's study, the researchers found that guys who used the routine five days a week for six weeks improved their maximum aerobic capacity (a measure of your body's ability to consume oxygen--the more oxygen you can take in, the longer and harder you'll be able to run) by 14%. What's more, it also improved anaerobic capacity (which measures your speed endurance, or the duration you're able to sprint at full effort) by 28%. So the Tabata Protocol is the rare workout that benefits both endurance athletes and sprinters--hard to accomplish. Consider: A study of traditional aerobic training--running at 70% of aerobic capacity for 60 minutes--for the same number of weeks showed an improvement in aerobic capacity of 9.5% and no effect on anaerobic capacity. The key to the Tabata Protocol's effectiveness appears to be the short rest intervals between sprints. Conventional interval-training guidelines suggest keeping a 1:3 work-rest ratio. That is, your rest periods should last three times as long as the duration of your sprints. But the Tabata Protocol's work-rest ratio is 2:1, which means your rest periods are only half as long as the time you're working. And according to another Tabata study, that formula isn't just more effective than traditional aerobic training, it's also more effective than typical interval training. In that other study, Tabata and his colleagues compared their original protocol to a second configuration of intervals that consisted of 30-second sprints interspersed with two-minute rest periods. Despite the fact that this required subjects to sprint for more time at a higher intensity, the original Tabata Protocol still proved more effective at boosting both aerobic and anaerobic capacity. With a 2:1 rest period would this correlate to something like repeaters with 7 seconds on 3 seconds off.or is the rest after each set that'd be more relevant? So you'd say that six lots of 7 on 3 off, would be a minute - then you'd have a 30 second rest before starting off again? I have skimmed through Lizenz zum Klettern (and unfortunately my german is not that hot) but there seems to be little new since 'Performance Rock Climbing'. I think that for us that understand english better than german, PRC suffices. One book in german that I really rate is the short training manual from Gudio Köstermeyer, Peak Perfomance. I think it is amusing that most books about training for climbing contains a short introduction to elementary sports physiology (and often more about the physiology of running ...), but this book---by one of the few authors in the field truly qualified to write about sport physiology---contains no such chapter. Found in a book shop in Chamonix. Seems like it was written with input from Liv Sansoz, Alexandre Chabot, Pierre Bollinger and Jérôme Meyer. Unfortunately it was a bit beyond my GCSE French. Looked to have some interesting stuff in it though. I have skimmed through Lizenz zum Klettern (and unfortunately my german is not that hot) but there seems to be little new since 'Performance Rock Climbing'. I'm inclined to agree, from my vague recollection of having read PRC a long time ago. I don't have my copy of PRC any more though (having not climbed for most of the intervening years) so reading most of it again - with some updates - can't do any harm. I'll check out Köstermeyer though. endurance is seen by most climbers as being solely a physiological attribute. Whereas IMO it's as much a skill as anything else eg: learning what pace to climb at on different terrain, how to tolerate lactic acid, how to use the minimum force to hold on, and how and when to try to recover on marginal rests. Seems like it was written with input from Liv Sansoz, Alexandre Chabot, Pierre Bollinger and Jérôme Meyer. Excellent case study in this book written by Alex Chabot entitled "How cake affected my performance in Fontainebleau". Discusses the problems of consuming too much cake whilst at Fontainebleau and what you can do to overcome this problem. Includes some great examples of how cake can be used to improve your performance such as placing pastries on top outs and in pockets. Did anything ever happen about putting all this stuff on the wiki? Anyway, found these a couple of weeks ago: in German, from the website of the Tivoli wall in Innsbruck, suggested training programmes for beginners, serious amateurs and Austrian team members by Austrian team coach Reini Scherer. Turns out I am just about approaching "Beginner" level according to Reini. My consistent onsight/second go level is about 6a+, so he says I should be working projects at 6c. I've been on a couple of 6b+'s: basically I don't redpoint, with very few exceptions I only go on things I think I have a realistic chance of onsighting. Must try harder. Part 1 Climbing to Get Better: What is Training? Part 4 That's Pure Mental Man! Improvements, as we all know, sometimes determine success in climbing. Eva López has what looks like it would be a detailed and well researched article on fingerboarding for somebody who could read Spanish. The instructions for the fingerboard she's selling (a bunch of different with edges) has been translated to german and english (I think). López has done a study on different programs for increasing fingerstrength. I think the study can be found in her thesis.